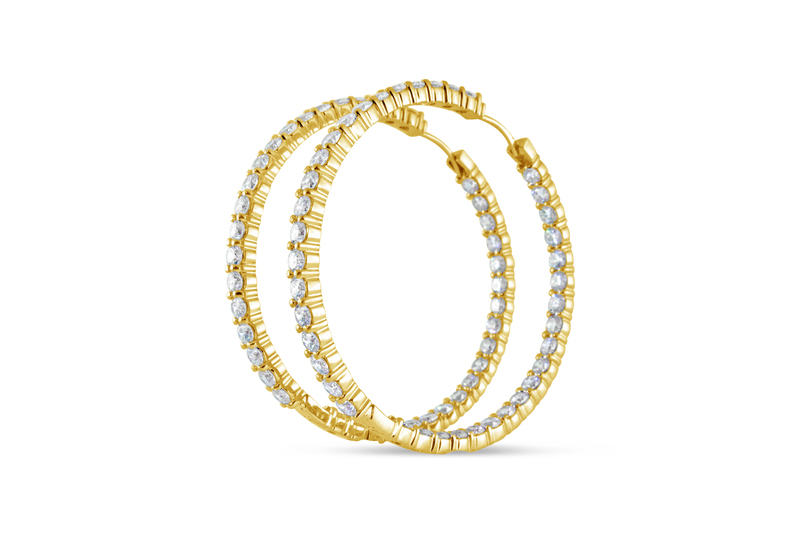 Stunning 18kt yellow gold diamond hoop earrings, total weight 7.00 carats, 44mm diameter. Also available in white gold. High quality diamonds are hand picked.